This was one of those amazingly lucky coincidences that befall us all from time to time. 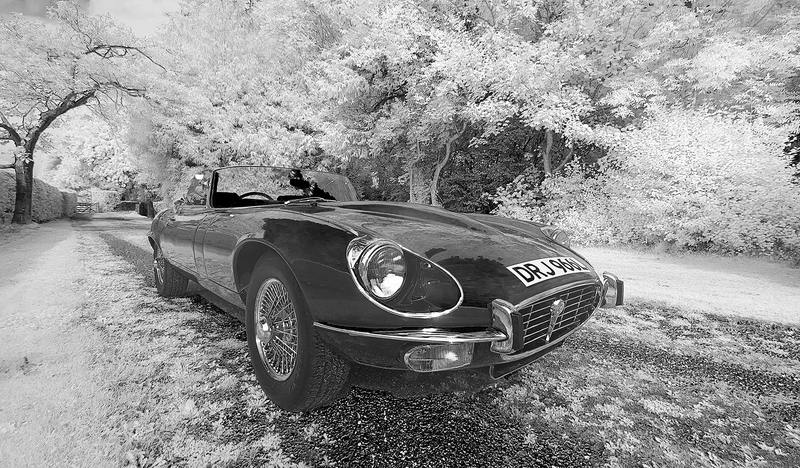 I had gone to visit a local car dealer who specialised in sports cars hoping to find a good vintage sports car that I might be able to photograph in infrared. Alas there were only modern cars there. I walked along the road and, literally, three doors away, an E – Type Jaguar was sitting on the drive with the owner busy polishing it! A quick introduction and explanation of what I would like to do resulted in this image being shot the following day and the owner now has a very large, framed print of his pride and joy. 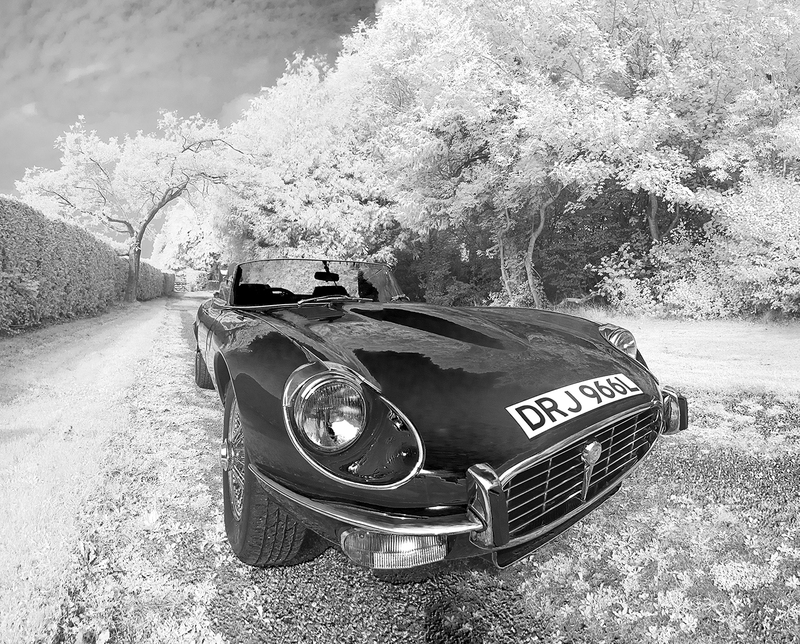 The image below was the result of shooting three images side-by-side at very close quarters to the front of the E-Type. The result is this steep perspective simulating a ‘fish-eye’ lens.